Loaded with BBQ sauce, cheese and crumbled scrapple, this pizza is perfect for your next family game or movie night! Place nonstick pan over medium-low heat with olive oil. Place thin sliced onions in pan, stirring occasionally, caramelize until medium brown color. About 10-15 minutes. 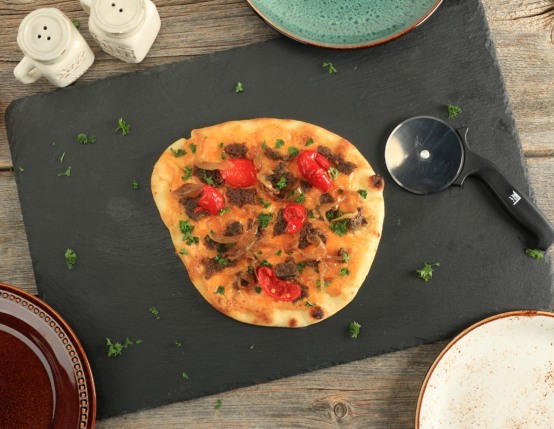 Turn baking sheet upside down and place flatbreads on pan. Top each flatbread with half Alabama white BBQ sauce, then top grated cheddar cheese, crumbled scrapple, and sliced sweet peppers. 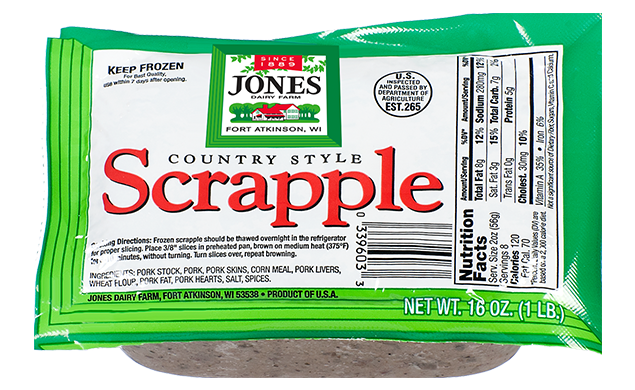 Place in oven until cheese melts and scrapple becomes crispy. About 10 minutes.